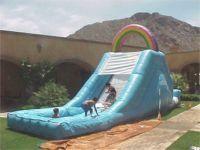 Water Slide w/Landing Pool. Good Shape. Used without liner. Normal wear & tear.